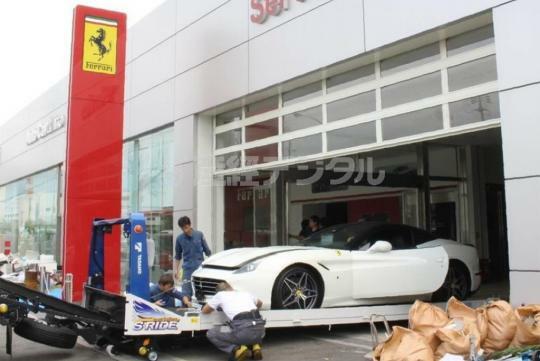 An authorised Ferrari dealership on Rokko Island has reported that 51 of the 53 Ferraris it had on hand were destroyed by Typhoon Jebi. The island which belonged to the city of Kobe was hit by the strongest typhoon to hit Japan since 1993 and three feet of water rushed into the dealerships. According to Yahoo Japan, the rise of the water from the storm destroyed most of the cars at the dealership, some of which some of the new ones had already found owners. Despite the employees' effort to block the storm surge with tarps and sandbags, they were not successful in saving the cars. Once saltwater got into the cars, the dealer had no choice but to scrap them as the cost to replace them outweigh the cost of saving them. The combined value of the destroyed vehicles is around S$12 million. The dealership is expected to reclaim its losses through insurance but even if it manages to get a good payout, business is likely to be severely affected for quite some time.